Tivon concentrating while spooning crushed honey comb last May. It might be quicker to pour, but I'm happy if Tivon chooses to do it one spoonful at a time. 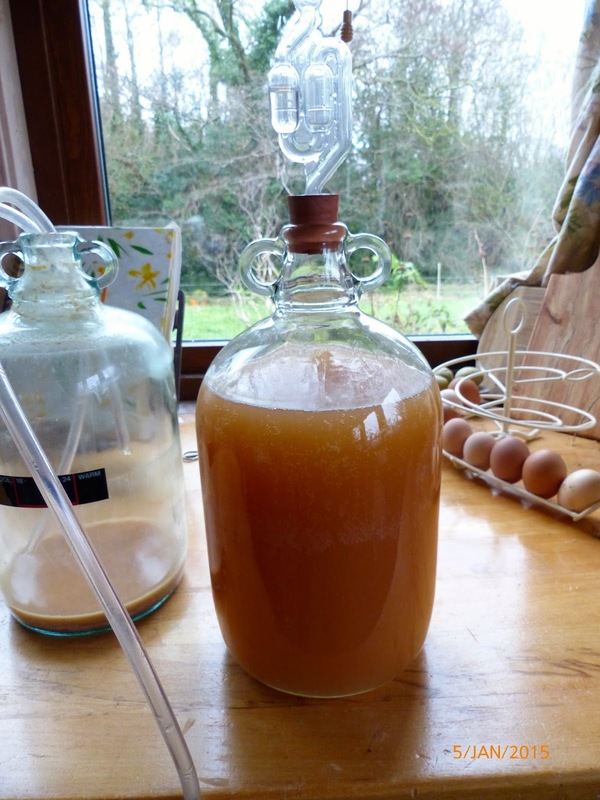 Next morning the honey has drained through and it is mostly wax left in the muslin. As in this photo, I started to pour the honey into jam jars but I ran out after filling about 50, the remaining honey went into a few gallon Kilner jars. (There were a few of pot fulls). I found myself with some ivy honey crystallized in the comb in November and after gently melting as much as I could in a bain marie to extract as much honey as I could, I decided that making mead was probably the best option for the rest of it. As well as the honey and water I added the juice of a lemon. I also simmered several handfuls of crab apples in a little water and added the liquid after straining and cooling. 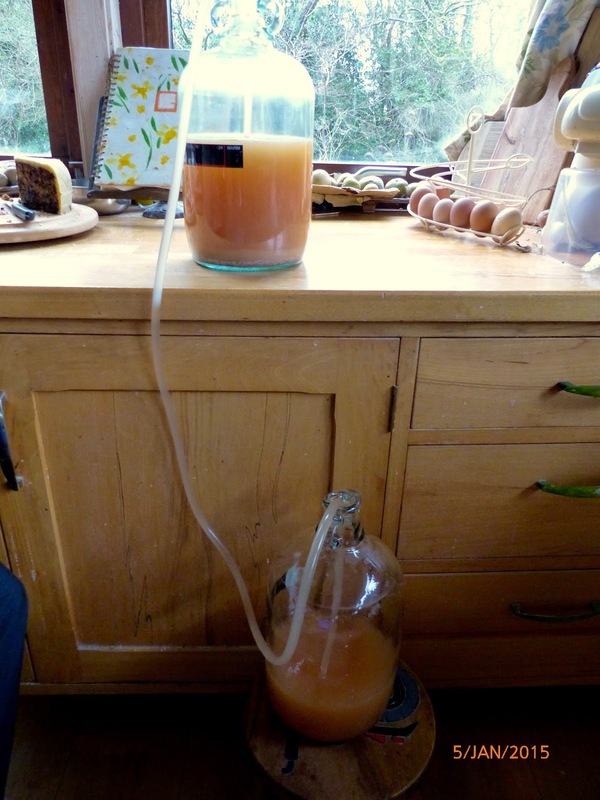 The demijohn proceeded to bubble profusely for a couple of weeks, in this photo it has just been racked off. 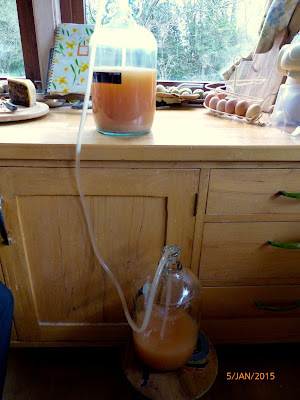 After a few more weeks settling down in the demijohn it is racked off into bottles. I had never tasted mead before, but after leaving it to mature in bottles for a few months I tried it and thought it was excellent. With the wax left over after straining the honey I rendered small quantities (about 8oz+ each) of beeswax at a time from different batches of comb. The selection of colours represent the age of comb, with the older comb containing more propolis hence the richer colour. The small quantities are easier to break into pieces for adding specific quantities to recipes. A large solid block of beeswax is hard to cut!